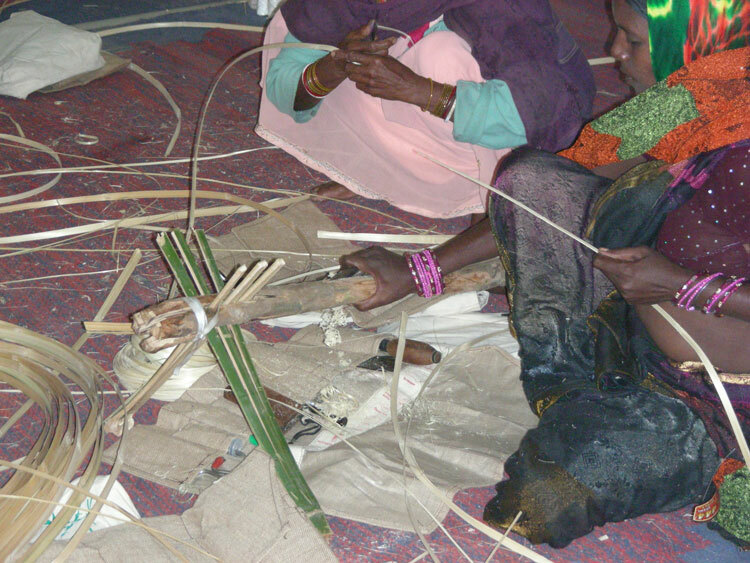 A bamboo stand is made using bamboo sticks to work on it. Bamboo shoot is cut into four or eight sections (as required). 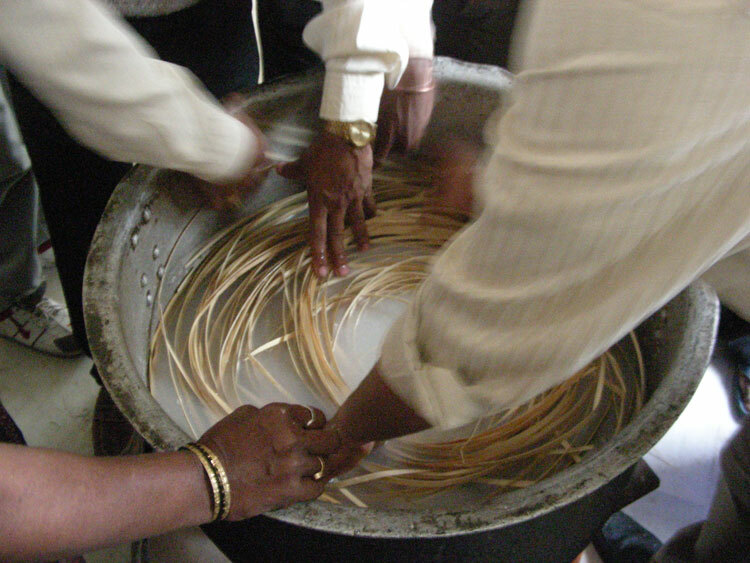 Thin bamboo strips are singled out using a blade. 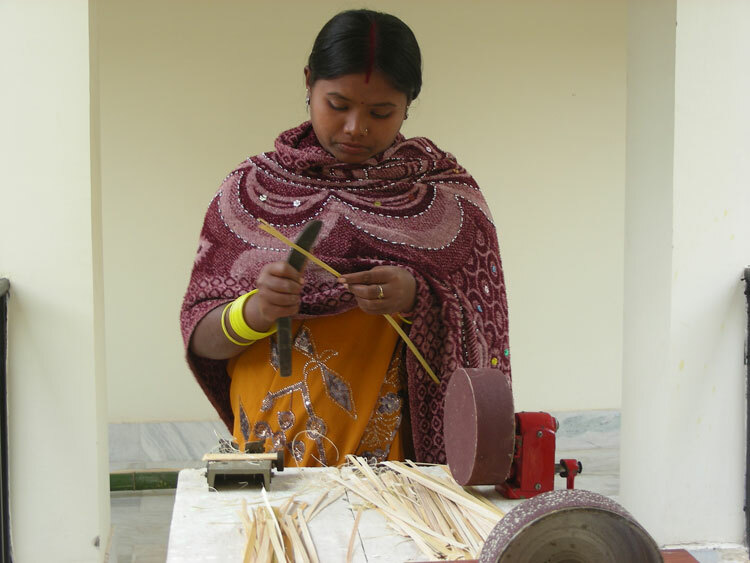 The bamboo strips are further given finer finish on a milling roller. 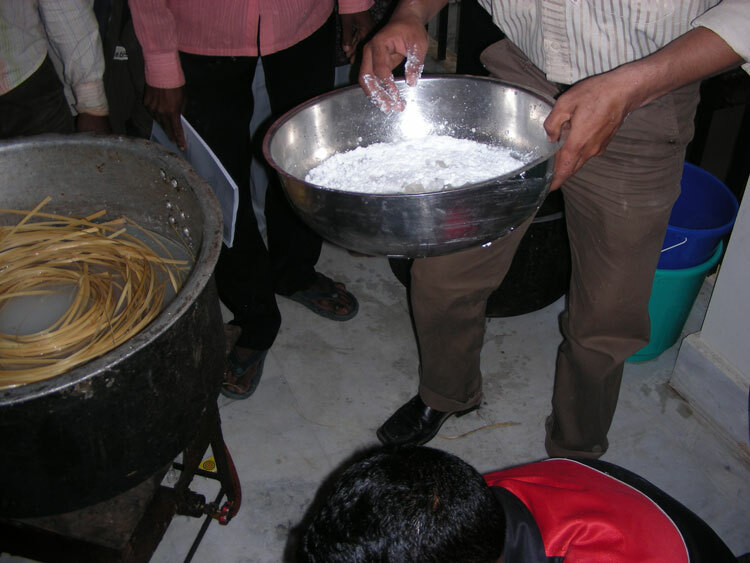 The strips are treated with boric acid in boiling water. The strips are further treated with alum to impart anti fungal properties. Natural coloring agents like turmeric is added to impart color to the strips. 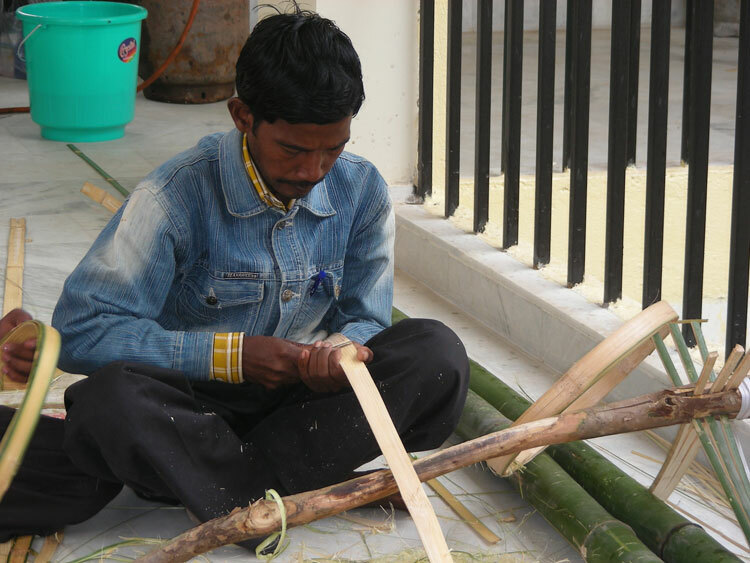 The treated bamboo strips are allowed to dry in shade. 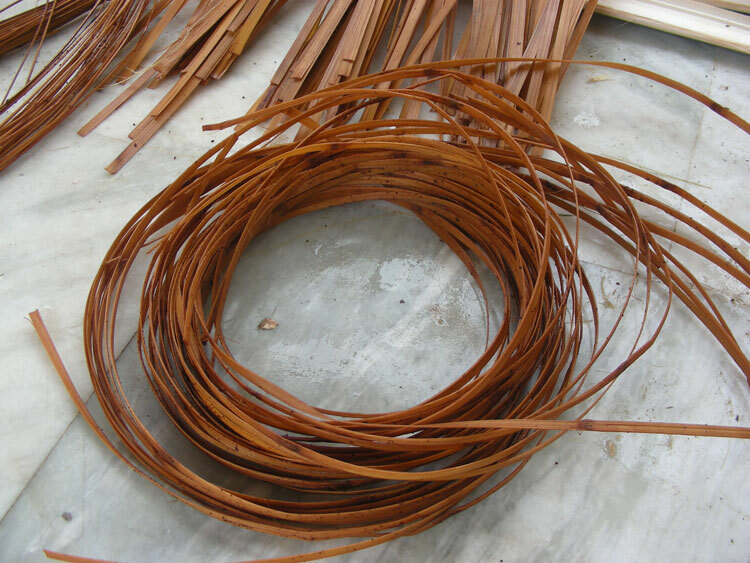 The dried bamboo strips are cut in required lengths. Thin long strips are pulled along circular die to make tea coasters. 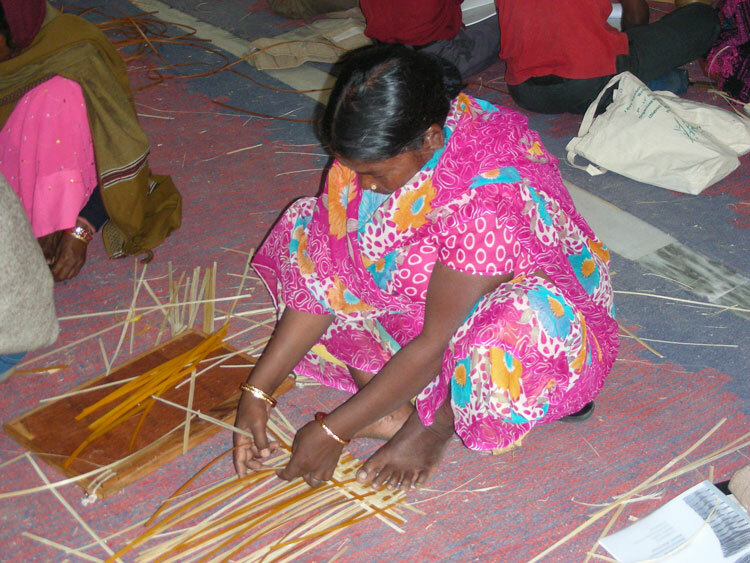 Bamboo strips are weaved together to make mats. 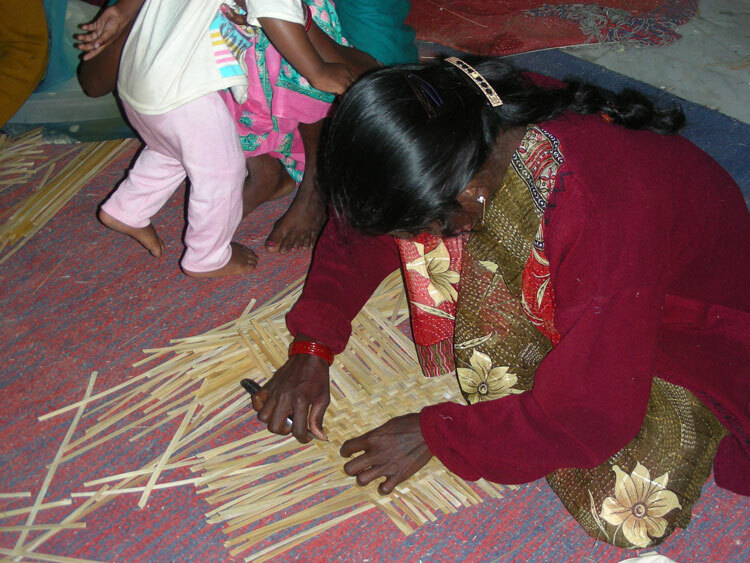 Bamboo strips are weaved around an oval disc to make trays. 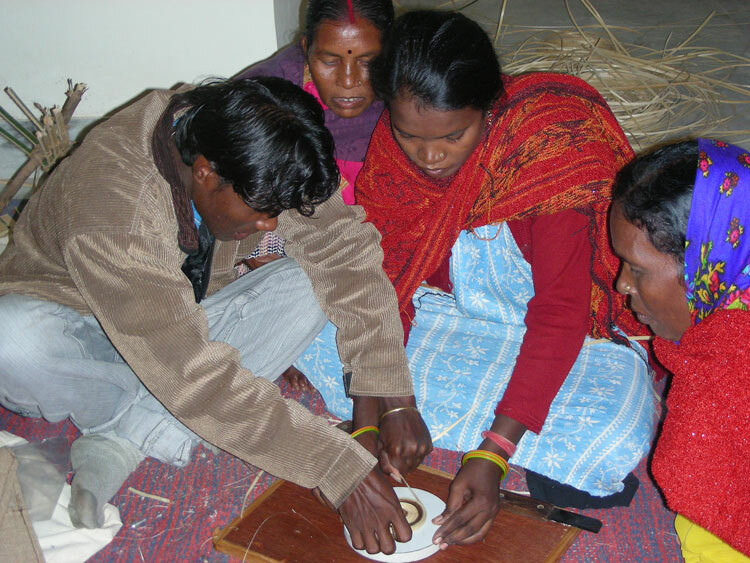 The following images were taken during a workshop conducted by Professor AG Rao and Professor Sandesh from IDC in Ranchi, Jharkhand during the month of December in collaboration with Govt. 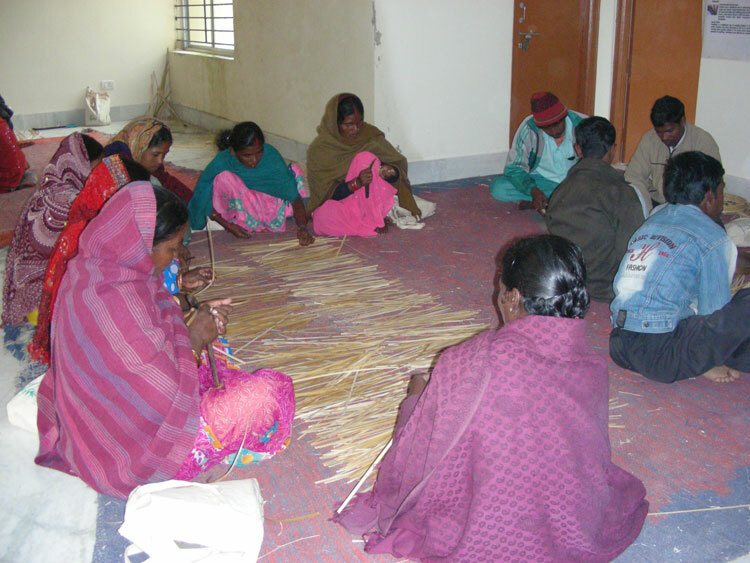 of Jharkhand at State Institute of Rural Development. 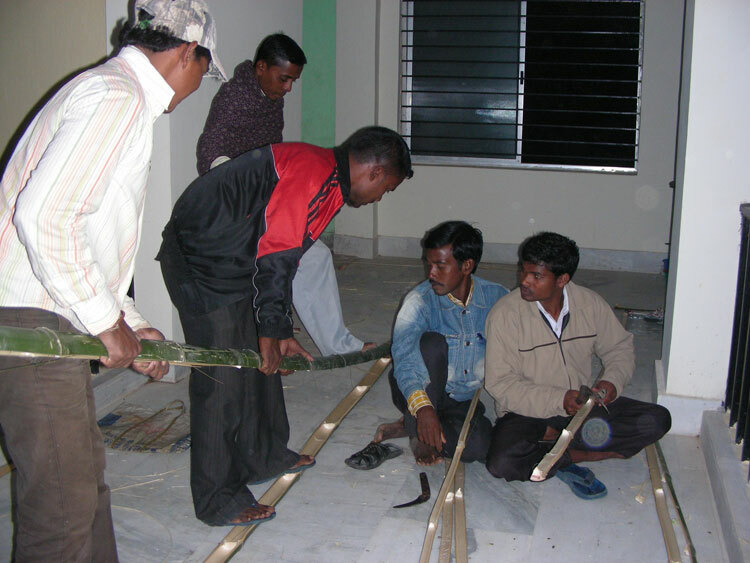 The objective was to get the tribal villages of Jharkhand familiarized with new tools for making bamboo products with greater variety and precision. Techniques of treating bamboo for longevity and developing anti-fungal qualities was also introduced. 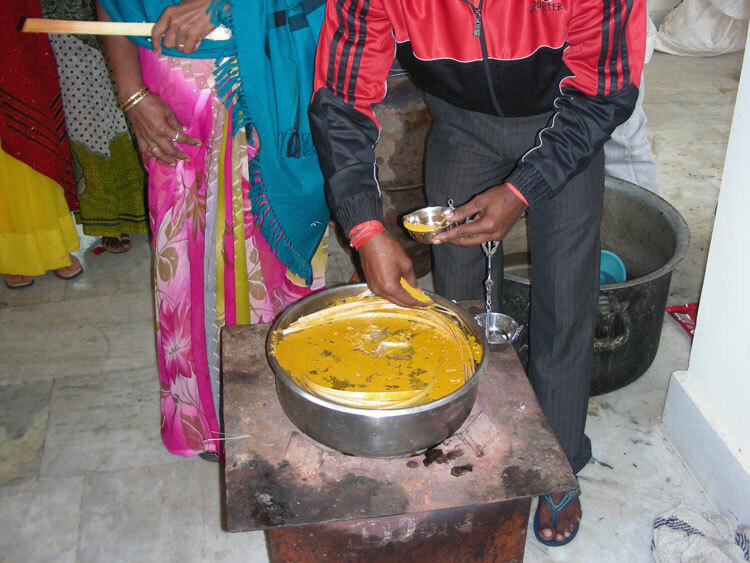 The methods of making products using moulds and natural colors like turmeric were taught at this workshop.